It was Will Rogers who once said: "I don't make jokes. I just watch the government and report the facts." But the words might well have been uttered by - or for that matter about - former comedian and newly minted U.S. Senator Al Franken. Franken, you see, spent several decades as a writer and cast member of Saturday Night Live the show that forever lampooned the politicians of the day. What are we to expect from the former comic and now Senator from Minnesota? Well, maybe there's a clue to be had from his past. Franken also wrote several books, among them the not-so-obliquely titled: Lies and the Lying Liars Who Tell Them: A Fair and Balanced Look at the Right. So okay, we get a sense of where he's coming from, but we're not so sure where he's going. 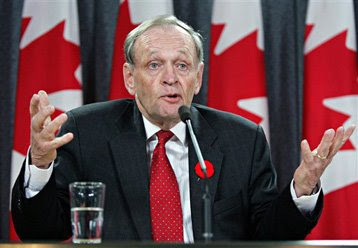 Who knows, maybe he'll end up like former Canadian Prime Minister Jean Chretien. Chretien was in the news again this week as only the third Canadian recipient of the Queen's Order of Merit. He's in some pretty august company. Mother Theresa and Winston Churchill are among the award's previous recipients. When you're a mayor and you have a problem you blame the provincial government. If you are a provincial government and you have a problem you blame the federal government. We don't blame the Queen any more, so once in a while we might blame the Americans. I don't know what is marijuana. Perhaps I will try it when it will no longer be criminal. I will have my money for my fine and a joint in the other hand. When holding a press conference on Free Trade with U.S. president Bill Clinton, Canadian prime minister Jean Chretien was asked what he thought about all the drugs that were entering Canada from the U.S. He responded: "Well, it's more trade." After a tense moment of silence and some muffled laughter Clinton leaned over and whispered something in Chretien's ear. Chretien immediately blurted "Oh drugs! I thought you said trucks!" Minnesota survived Governor Jesse "The Body" Ventura and are not worse for wear. Oh wait, yes they are, Minnesota has a 5 billion deficit. lotgk: I don't know who makes me laugh more - comics or politicians! 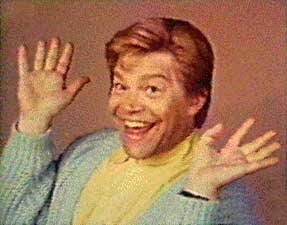 And now Minnesota has both combined in one known Al Franken. Be very afraid. Plato pretty much sums it up there. lotgk: Minnesota has its share of characters. John J Savo: Yeah it's the perfect quote, isn't it.